CONDITION REPORT: Excellent overall condition and all original. The dial has aged with a beautiful cream patina. 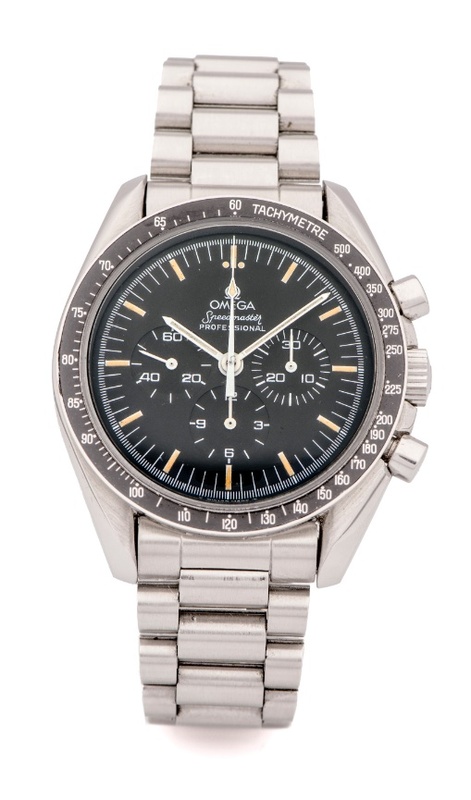 NOTES: According to the Omega Museum, the present watch was manufactured September 9, 1988 and subsequently delivered to Hong Kong. Released in the early 80’s, the 345.0808 was the first Omega reference to be fitted with a see-through sapphire display caseback. These models came with a Côte de Genève finishing on the bridges and the caliber designation was 863 instead of 861. The first models were copper color and yellow afterwards. This is the 2nd series with 1000pcs mades and numbers on the back begin with "A###".